My last gala for 2011!!! Nakahabol pa sa bucket list checking hehehe! It was during 2010 that I started thinking about visiting the famous Mt. 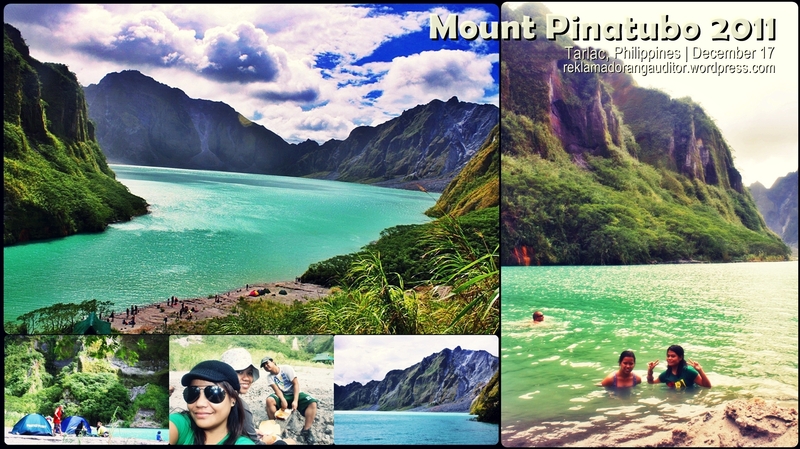 Pinatubo, a dormant volcano in Zambales, after seeing lots of beautiful pix from friends. However, due to the hectic sched and unavailability of always-on-the-go friends, I wasn’t able to carry out the plan that year. So in 2011, I included Mt. 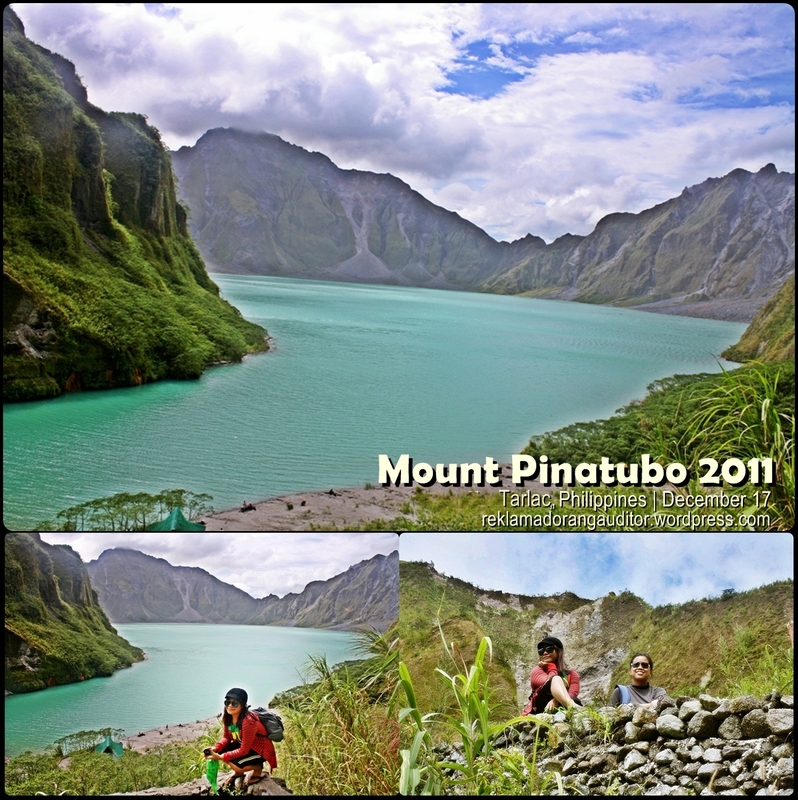 Pinatubo in my must-go places! 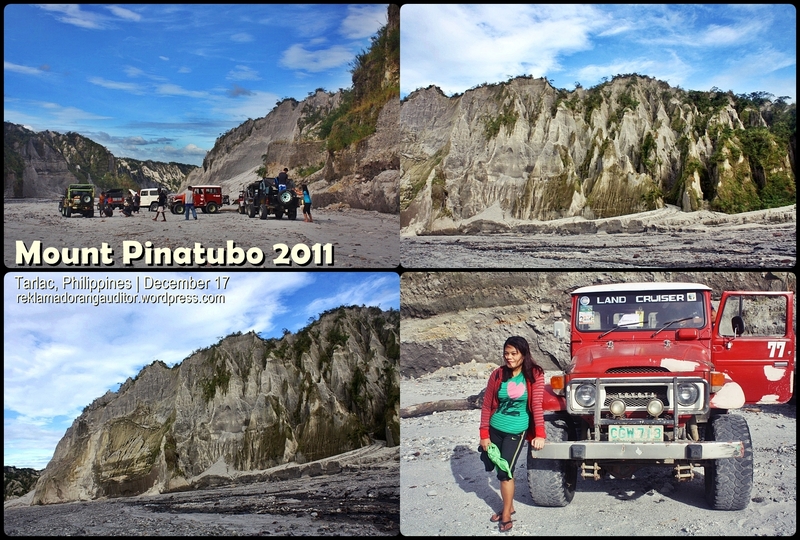 :D Before the year 2011 ended, I invited some high school friends to join me in this trip, and luckily, napapayag ko sila! :D We were supposed to be 4 in the group, but the other one had to go back home to Zambo City the day before this trip! so ang ending, tatlo lang kame! :D dami no?! ehehe! 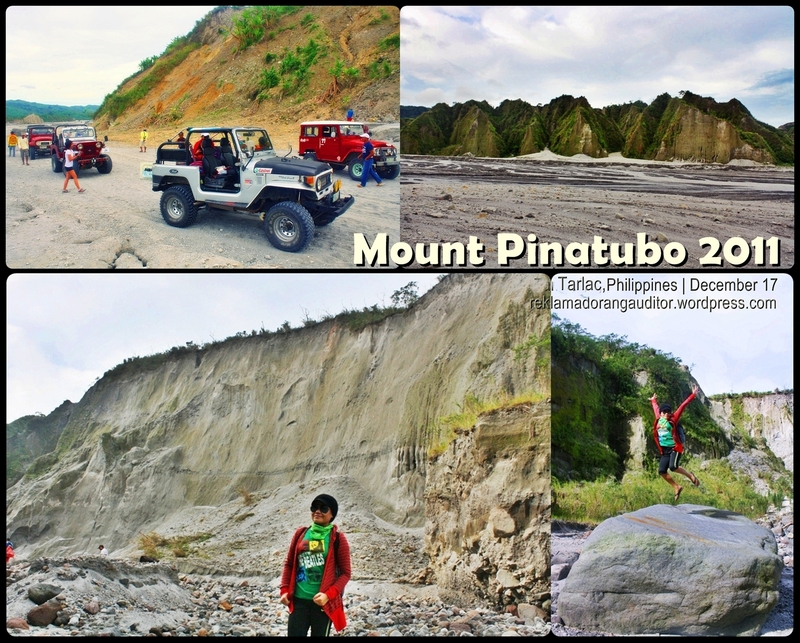 Tour cost: Php 2050/person for Filipinos and Php2850/person for non-Filipinos ( for additional conservation fee). A private tour, on the other hand, costs Php2690/person with the same inclusions but with a private van. **Instructions on how to book for this tour are detailed in their website. 0630 ETA Brgy. Sta. Juliana (base camp) to finalize prior arrangements. 1430 Back to the 4x4s. 1530 Back at base camp. Freshen up. 1600 Departure from the base camp to Manila. 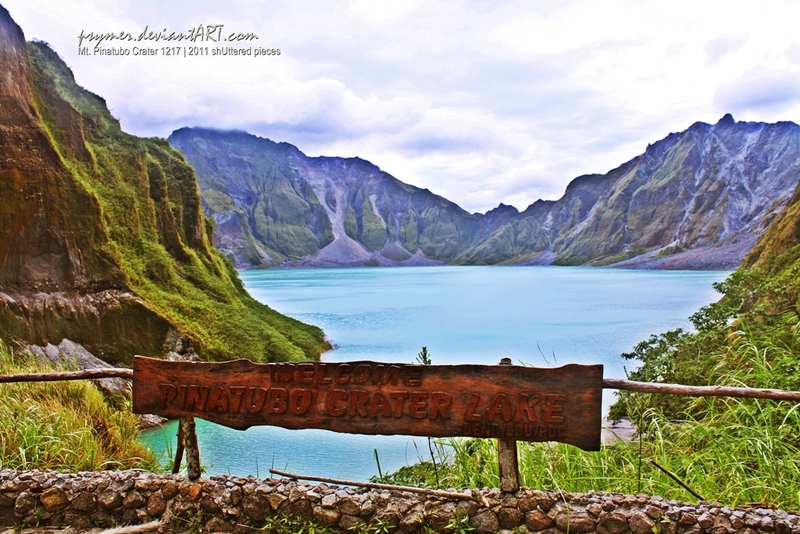 *Old way – will not use the Pinatubo Skyway; during our trip, the said skyway was closed because it was recently destroyed by a typhoon. It was raining so hard that dawn that we were quite unsure if the trip will push through or not. 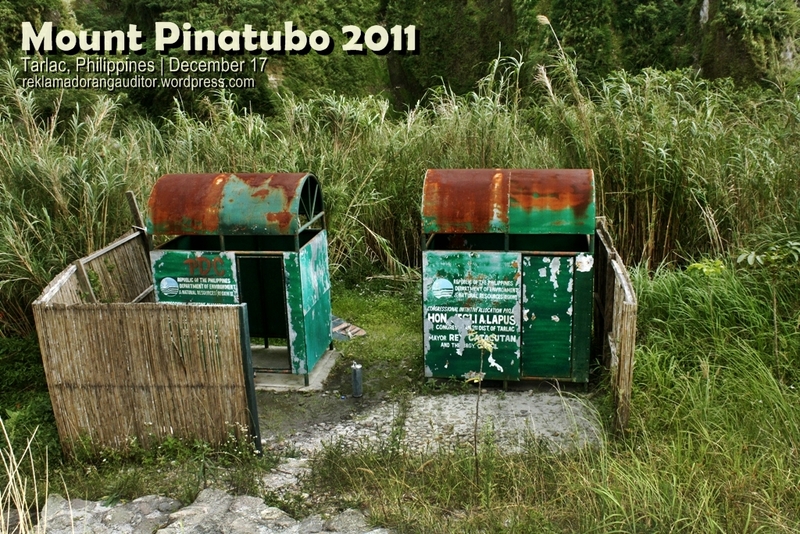 (Typhoon Sendong was destroying Mindanao at this time). But since we didn’t receive any cancellation notice, game on! :D We went to the agreed place (McDonalds, EDSA corner Quezon Ave. close to the MRT Quezon Ave. station) where we met with the organizers and other trippers. We paid for our tour fee (thanks to Fern for shouldering much of the cost! ehehe!) and we bought our trail food and packed lunch at McDo hehe! Good thing’s that the schedule was really being followed. :) The van that we were into was so comfy! :D We were with 4 other trippers in the van, but we never had the chance to actually get to know our companions! haha! 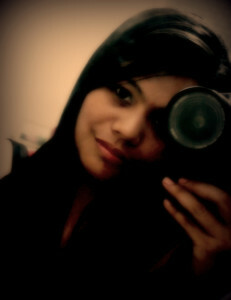 shy type kase kame haha! wapakels sa mga kasama! :D There were almost 4 or 5 vans during the trip. It was raining so hard during the road trip. After more or less 3 hours of travel, we reached the base camp, where the 4×4 vehicles are waiting for us. A x4 vehicle can accommodate 5 trippers, so our 2 other companions in the van went with another 4×4. There were about 7 or 8 4×4 vehicles for this public tour! And off we went with the 4×4 ride! :D The rain has stopped! yeehee!!! We started off with the trek at around 8am already. The weather was so trekking-perfect! ehehe! really! It was not too hot, probably because of the typhoon Sendong (hayy). We had to cross rivers, but those were not deep. 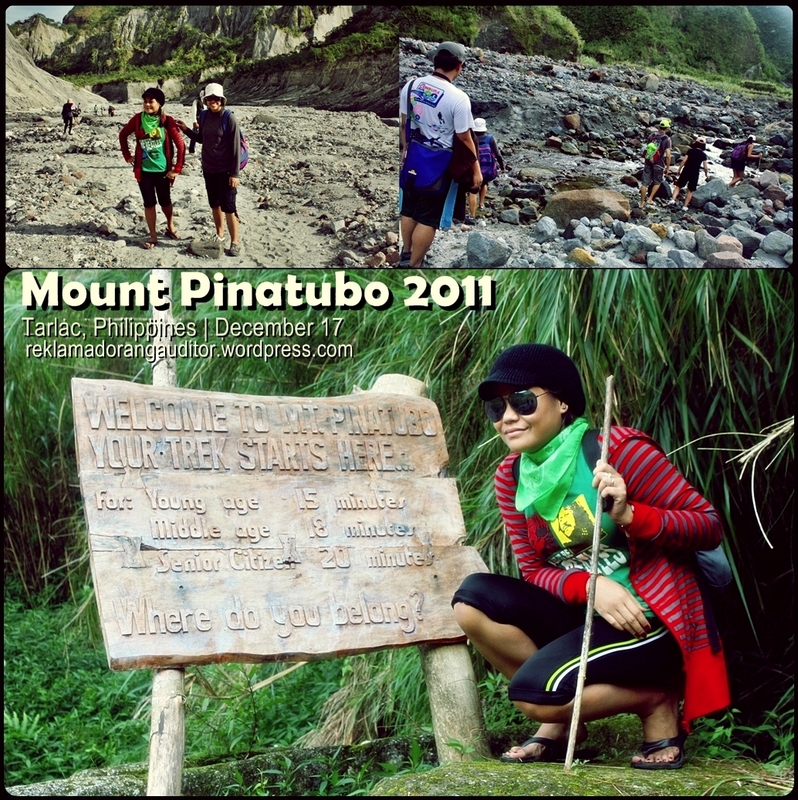 The trail was not steep as compared to the other treks that I’ve experienced before (Batad, Sagada, Pundaquit-Anawangin). What made this trip a little challenging are those slippery and sharp rocks hehe! Buti na lang naka-tsinelas lang ako sa trek–seemed like it’s difficult if you use rubber shoes or something that’s closed, because pebbles can get into your shoes and un na! masakit! :D After walking for about 2 hours, we reached that part where there was a sign board showing how far we have to walk to the crater, depending on the age! haha! See the pic below. We were all so wanting to take our early lunch! :D I cannot hold my gutom anymore, so nauna akong kumain pagkadating pa lang talaga sa viewdeck! haha! And after a couple of minutes, and since marami pa ang nagpipikchur dun sa famous picture-taking spot with the big signboard of Mt. 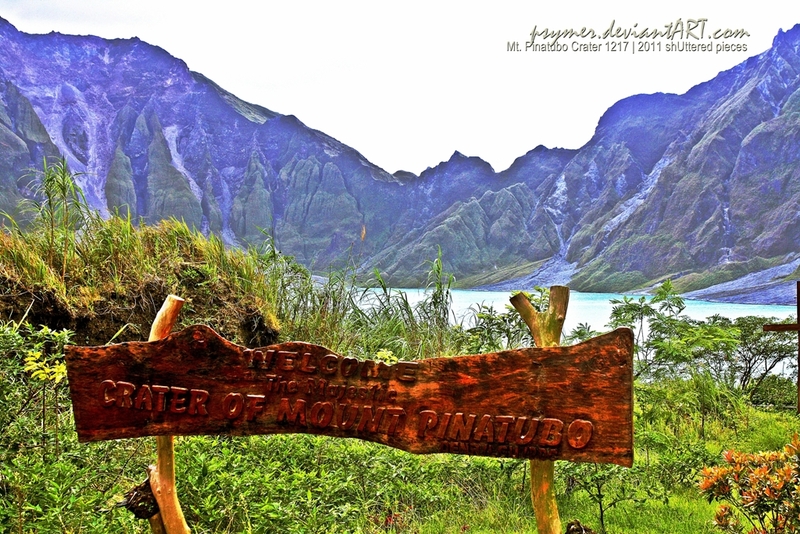 Pinatubo, we decided to go down first at the mouth of the crater, for my companions to take their lunch and to take a swim! ehehe! :D Too bad, there weren’t any available banca during our visit so we weren’t able to take some tour sa lake! hehe!